I made a mistake on an order, missed an item, and need to ship it internationally. I already bought shipping through PayPal. How can I buy a new label for the same address, and get the same USPS discount? Do you need me to answer this Q again? Any UK recommendations for a source of cheap, small boxes (as close to 45x35x16 cm)? Exhausted my free supply. I guess this could be a relevant thread. I was off buy less than 1/2 an oz. First UPS steals my office chair. Then Kmart sends me a mystery box of shoes. Lego might not send me multiple freebies. And usps is warning me about .48 oz. So this is what it's like to be reseller scum. Anyway, be careful. They're watching us. I think I've done worse. Not sure if this is the right place to put this, but I need some advise. I got a email from a pissed off BL buyer who was buying some Bionicle for resale. His package was completely MANGLED by USPS. Then I went to file a claim with USPS, as the package had $50.00 of insurance attached to it. According to the instuctions, I had to give a statement of the items value from a credible retailer. As it was 70792 Skull Slicer, I attached screenshots of Kmart.com ($11.20) and Toys R Us.com ($14.99). I claimed $11.20 for each item for a total of $33.60. I attached 12 pictures the buyer sent with me of the extensive box damage, and several of the crushed Lego boxes. I filled each as "collectables" as there was no other suitable category. Looking over it it looked just like the example from the tutorial video. I then submitted the claim. This morning I check and see that it had been denied. No explanation and no email. Only note was that they had sent me a letter explaining the denial. What should I do to get my money back? Appeal the decision? Wait for the letter? Talk to my postmaster? I getting near my 400th order and I have never had problems like this before. I would appreciate any advise. 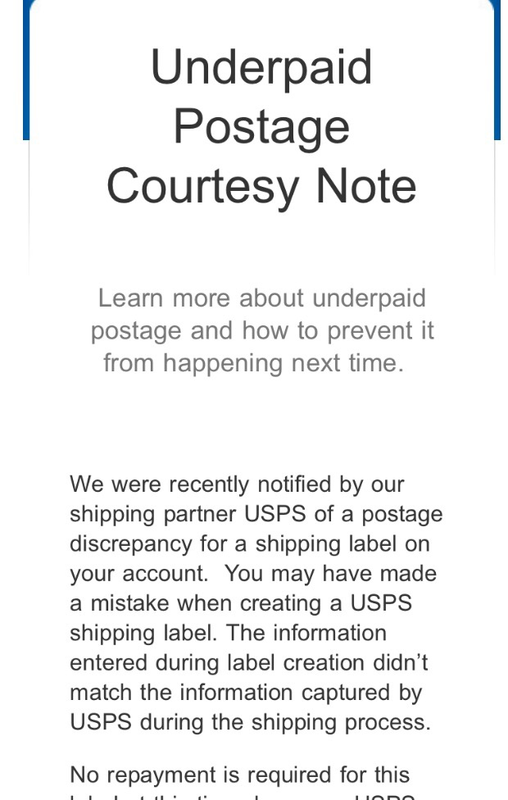 I recommend that you contact USPS Consumer Affairs. Here is link to get you started to locate the nearest office. Be polite and explain your situation. Their job and duty is to ensure that your needs are met and satisfied. Furthermore, they are able to determine who to contact and what to get through in a chain of command. Personal story, I was checking an eBay sale one day and I noticed that the package had yet to be delivered. After talking with my local post office manager and calling the potential USPS office at the destination went nowhere, I got in contact with a Consumer Affairs office. Now the number I found was in Virginia but the Virginia people were kind enough to direct me to the right people in Florida and also give me names to contact. Within the same day, they managed to determine when my package was delivered, where it was delivered, and to whom it was given to. So they were able to verify that the package was delivered to an agent and formally out of both our hands. We were not liable for any of it. As an aside, the buyer claimed that he had no idea who the person it was delivered to was and no one at the address knew said person, despite a paper trail showing it was delivered to someone. But that's another story. What's the price? Staples had these on sale in my store as well, I believe $15.99 for 8 rolls. EDIT: Nope, 6 rolls. Doesn't show as sale price online (8 rolls are on sale for $25.29). i have no idea just noticed coupon on my cell...i can tell you over weekend. The Costco sale for 8 rolls is about $16 with tax, Costco usually has this sale twice a year, I will be buying 10 Bundles of them, 80 rolls. 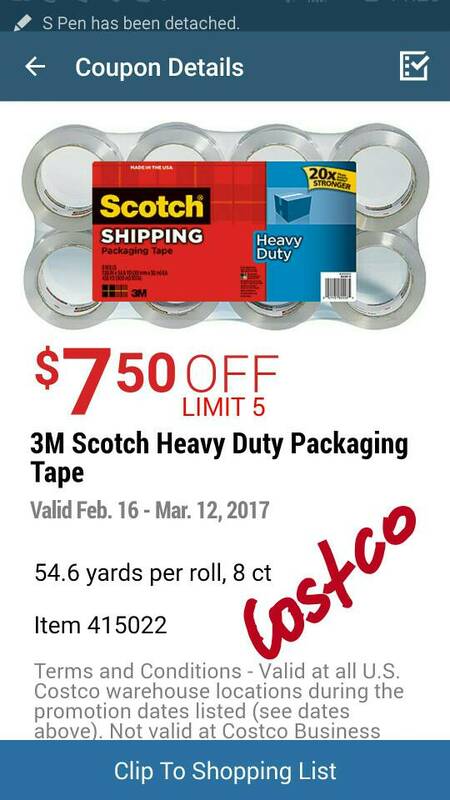 Are there any other deals for packing tape for us non Costco members? Finally ran out. I just wish they would adopt the Kmart/Sears business practice of making better offers to customers when they are facing difficult times financially. Yea, eBay got 36 rolls for 29.99...have no idea about quality. Funny. I scrolled up. (thanks lazy index finger). I only ever use 3M brown packing tape. Last time I paid £45 for 100 rolls and shared them with mates. Cheap/crap tape is a false economy and gets unstuck too easily. Find others to share materials with and the price drops significantly.